Karina Duarte was born and raised in Tucson, Arizona. As a Tucson native with Mexican American and Native American roots, Karina embraces her ethnicity, heritage and diverse culture. Along with having strong community ties with her tribe and family, Karina understands the social and behavioral services needed in Southern Arizona and on tribal lands. 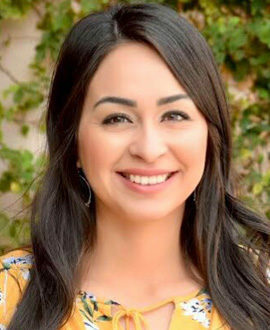 Mrs. Duarte is currently studying Psychology at Pima Community College and plans to pursue a Master’s degree because of her commitment to contributing to the needs of the community. She intends to further both her career and education and feels extremely grateful to be part of the great and supportive team at Amistades. Karina loves working in youth prevention as the Prevention Wellness Coach with high school students and faculty. She teaches her students many valuable life skills and educates them on the dangers of drugs. Going beyond the classroom to reach students is something Karina enjoys very much by hosting lunch events on campus. Working with Amistades gives Mrs. Duarte the opportunity to simultaneously apply what she learns in school to her career. Karina became a Certified Nursing Assistant during her senior year of high school by completing the required curriculum and testing through JTED. While working as a nursing assistant, she realized that many of her patients needed behavioral health services. Karina believed that although her patients received the appropriate medical care, the patients needed more and seemed happier when she spent quality time visiting with them. In her role as Prevention Wellness Coach, Karina works with the Marana Unified School District to actively support their youth development efforts, through prevention efforts grounded in best practices. She facilitates classroom-based prevention curriculum, organizes community events and participates in youth coalition meetings.